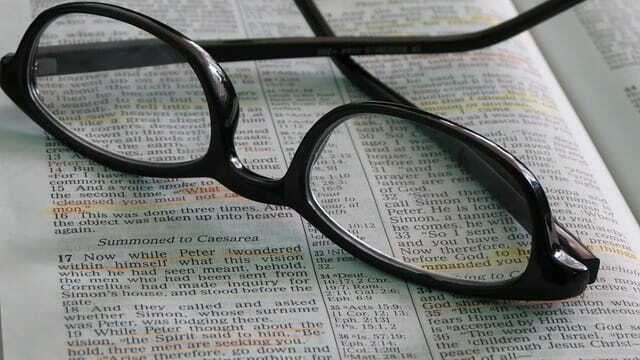 Home » Christian Devotionals » Christian Questions and Answers » Why Should Mankind Believe in God? God created all things, and so He makes all creation come under His dominion, and submit to His dominion; He will command all things, so that all things are in His hands. All creation of God, including animals, plants, mankind, the mountains and rivers, and the lakes—all must come under His dominion. All things in the skies and on the ground must come under His dominion. They cannot have any choice, and must all submit to His orchestrations. This was decreed by God, and is the authority of God. God commands everything, and orders and ranks all things, with each classed according to kind, and allotted their own position, according to God’s will. No matter how great it is, no thing can surpass God, and all things serve the mankind created by God, and no thing dares to disobey God or make any demands of God. And so man, as a creature of God, must also perform the duty of man. Regardless of whether he is the lord or ruler of all things, no matter how high man’s status among all things, still he is but a small human being under the dominion of God, and is no more than an insignificant human being, a creature of God, and he will never be above God. As a creature of God, man should seek to perform the duty of a creature of God, and seek to love God without making other choices, for God is worthy of man’s love. God created this world and brought man, a living being unto which He bestowed life, into it. In turn, man came to have parents and kin and was no longer alone. Ever since man first laid eyes on this material world, he was destined to exist within the ordination of God. It is the breath of life from God that supports each living being throughout his growth into adulthood. During this process, none believe that man lives and grows up under the care of God. Rather, they hold that man grows up under the love and care of his parents, and that his growth is governed by the instinct of life. This is because man knows not who bestowed life or from whence it came, much less how the instinct of life creates miracles. Man knows only that food is the basis of the continuation of life, that perseverance is the source of existence of life, and that the belief in his mind is the wealth of his survival. Man does not feel the grace and provision from God. Man then squanders the life bestowed upon him by God. … Not one man whom God looks upon day and night takes the initiative to worship Him. God continues to work as He has planned on man for whom He holds no expectations. He does so in the hope that one day, man will awaken from his dream and suddenly comprehend the value and purpose of life, understand the cost at which God has given man everything, and know how fervently God longs for man to turn back to Him. Because man was made by God and the senseless sacrifices and explorations of man can only lead to more distress. Man will exist in a constant state of fear, will not know how to face the future of mankind, or how to face the path that lies ahead. Man will even come to fear science and knowledge, and fear even more the feeling of emptiness within him. In this world, regardless of whether you live in a free country or one without human rights, you are utterly incapable of escaping the fate of mankind. Whether you are the ruler or the ruled, you are utterly incapable of escaping the desire to explore the fate, mysteries, and destination of mankind. Much less are you capable of escaping the bewildering sense of emptiness. Such phenomena, which are common to all of mankind, are called social phenomena by sociologists, yet no great man can come forth to solve such problems. Man, after all, is man. The position and life of God cannot be replaced by any man. Mankind does not just require a fair society in which everyone is well-fed and is equal and free, but the salvation of God and His provision of life to them. Only when man receives the salvation of God and His provision of life to them can the needs, yearning to explore, and spiritual emptiness of man be resolved. Do You Know God’s Will When He Established Laws for All Things? Since God Loves Mankind, Why Does He Destroy All Evil People? Since God loves mankind, why does He send down disasters to destroy all evil people who deny and resist Him? Through seeking and investigating the words of Almighty God, we are certain that Almighty God is the appearance of the Lord. But after we decided to follow Almighty God, some unfortunate things and mishaps happened in our lives. What Is Following God’s Will? What is following God’s will? Is it following God’s will if one only carries out missionary work for the Lord?